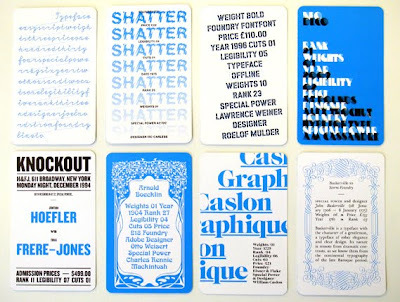 The Creative Pie: Type trumps are back. Sticking to type again. 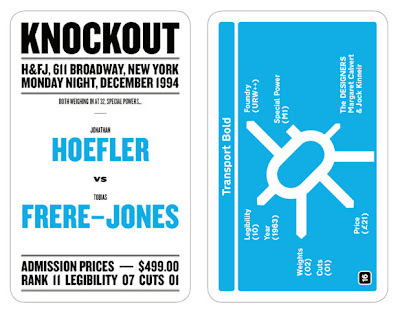 Designer Rick Banks is back with Type Trumps 2. The new set consists of 30 new designs showing different typefaces being assigned numerical values. 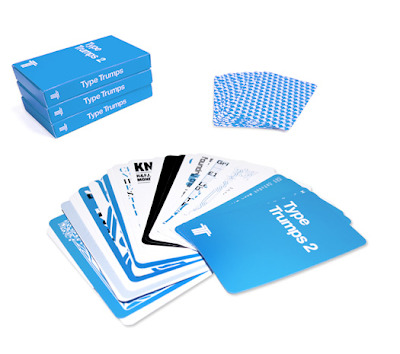 Type Trumps is a play on the popular card game Top Trumps and cards can be won and lost using standard game rules. 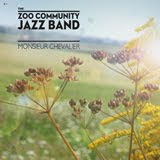 They are priced at £9.99 and can be bought online from Magma Books and the Design Museum. 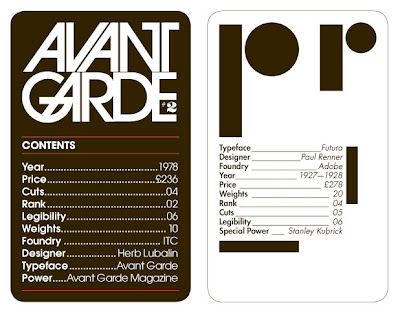 Banks has given each typeface a 'rating' score, a 'legibility' score and even a 'special power. So typophiles the fight continues.